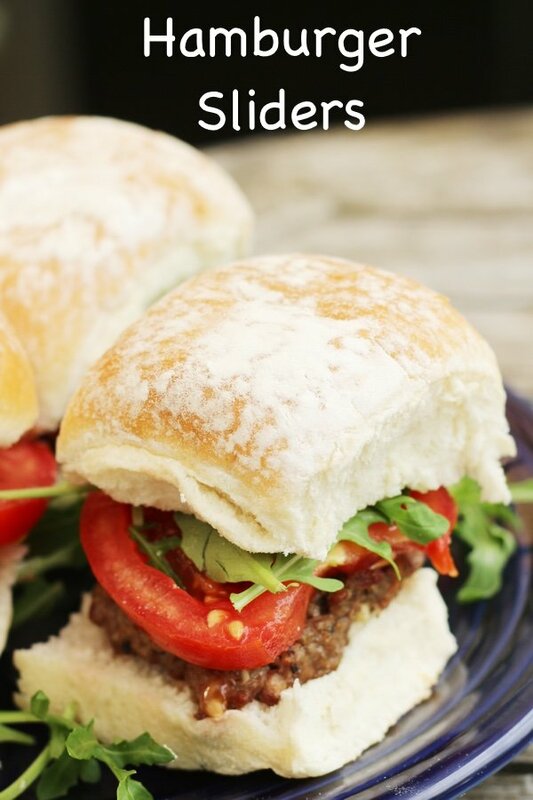 How do you make burger sliders? They are easy! But the better question is why would you make them? I feature many takes on the burger concept. One of my favorites is grown up sloppy joes because you get all the sloppy joe flavor without a ton of meat. Sometimes, I just skip the meat as in my mushroom lentil burgers. I learned at a party how powerful a slider can be. Yes, we all love hamburgers. But they are frequently served as monsters. I get a stomachache when I eat an 8 ounce burger because it is simply too much meat. 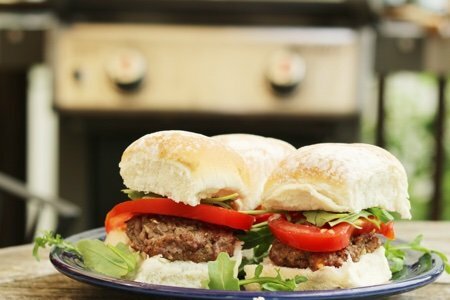 Sliders, on the other hand, are only 2 ounces! This means you can serve 8 of them for a pound of meat. 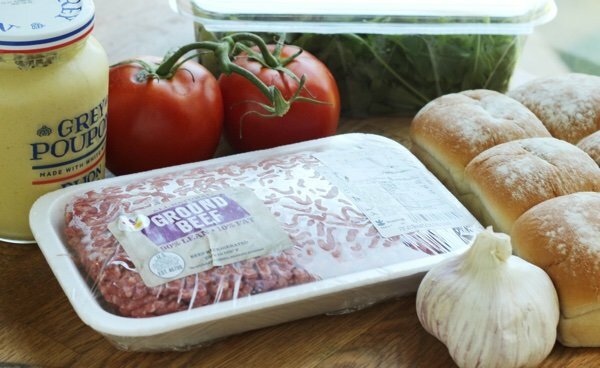 Not only do you eat less meat on average (unless you eat 4 of them) but you save money. I learned that a small burger was more than enough to satisfy my burger craving. The key here is to make the small amount of meat very flavorful. I added Dijon, garlic, salt and pepper to enhance the beef. When you mix it, stir it lightly with a fork so as to not over mix. You can make beef really tough if you mix it into a paste. I mix it and then I plop it onto my digital scale to ensure the right size. I use a slice of waxed paper to make it easy to clean up and the meat doesn’t stick. After I weigh it, I very gently pat into a round shape (or sort of round). Then, I am ready to cook! 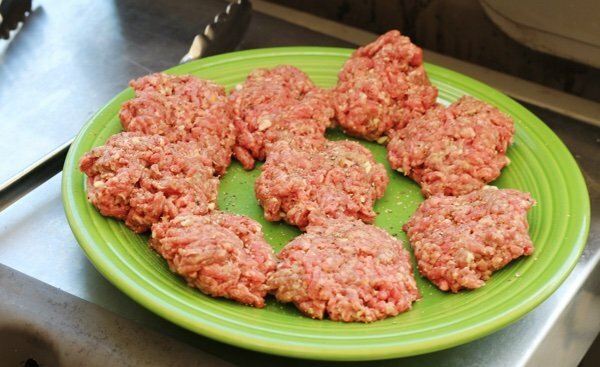 These are FAST so be sure to have your fixin’s ready before you toss them on the grill. You can also cook these in a fry pan on your stove if you don’t have a grill. Make sure you maximize the vegetables with lots of tomatoes, lettuce, onions, sautéed mushrooms or whatever you love on your burger. I want you to try this and tell me if it satisfies you – or if you still want a BIG burger. Definitely savor every bite!! Heat a gas grill to medium high heat. 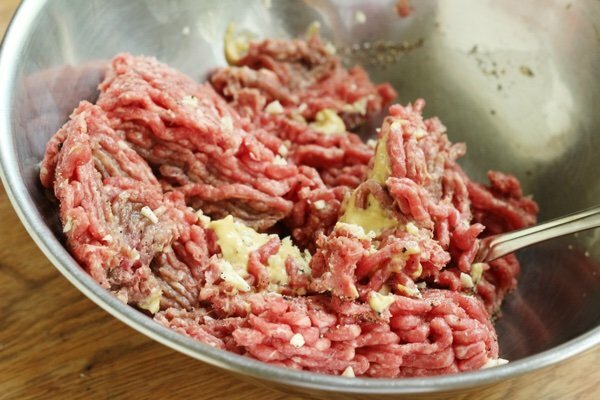 Put the ground beef in a bowl and mix in mustard, garlic, and salt and pepper gently with a fork. 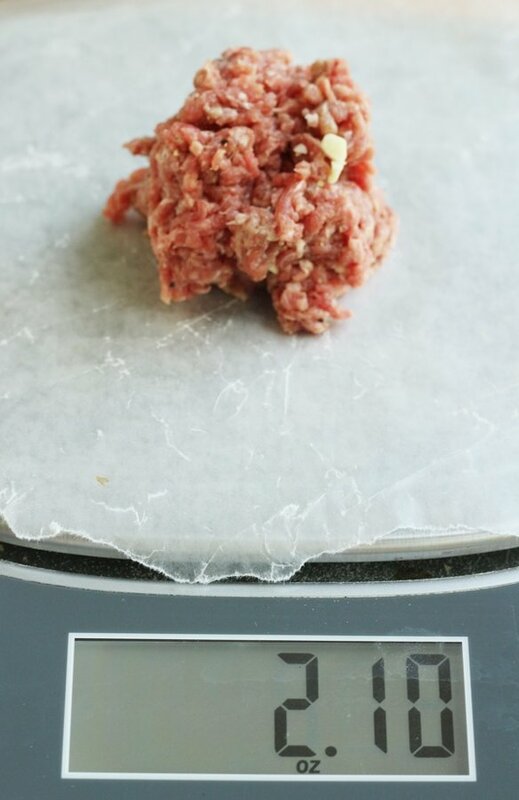 Measure out 8 burgers or weigh 2 ounces per burger and shape into patties. Brush the grill grate with oil to prevent sticking and cook for 2 minutes per side until the burger is 160 F. DO NOT PRESS DOWN ON THE BURGER TO RETAIN JUICINESS. I use tongs and not a spatula to turn the burgers. Serve on bun with adding toppings. @Teresa - thank you! That was a big mistake. I am sorry and I have corrected it.